18 hours* of flawless coverage—without touch-ups! Comfortable and lightweight, this fluid texture instantly conceals dark spots, redness, freckles, blemishes and other imperfections with completely natural-looking results—never a mask effect. • 18 hours* of carefree wear in a lightweight formula. 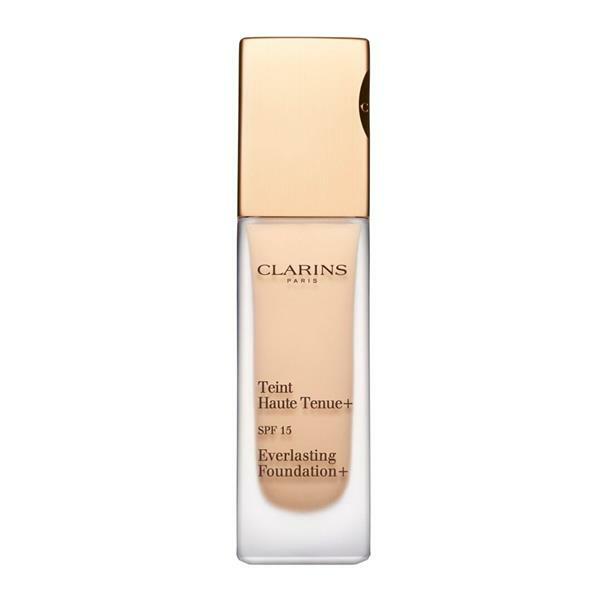 Clarins Laborabories combines its exclusive High Fidelity System+* with mattifying Bamboo powder for exceptionally long-lasting wear—even in the face of heat and humidity. • 18 hours* of comfort. Organic Quinoa preserves the skin's suppleness, and supports the moisturizing action of Clarins' exclusive PLANT MICROPATCH, for long-lasting comfort. • + Triple protection: Shields skin with Clarins' exclusive anti-pollution, anti-free radical, and anti-UVA/UVB ingredients. *Satisfaction test, comfort and wear after 18 hours, 60 subjects. Individual results may vary.